Santa & Cole is a small, independent and global editor of well-designed products. With its roots in Belloch (Barcelona, Spain) it works in over 70 countries, driven by the quest for good civil coexistence and determined to foster that. 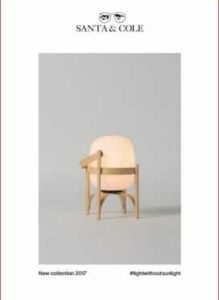 Santa & Cole has been exploring industrial design since 1985 – the art of scrutinising everyday objects to find their best use experience, and the one that therefore considers material culture. In any society, however primitive, the material culture can identify individuals and raise their spirit just as much as the intangible culture, although it is rarely paid as much attention. 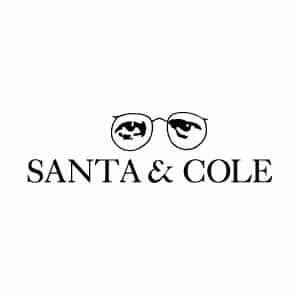 Santa & Cole edits household and urban furniture and lighting, ranging from indoor lighting to large street lamps and benches for pedestrians. We also produce plant elements – trees – which are living matter, in our nurseries in Belloch. Not to mention books, which set out the lines that we would all be wise to follow. Although our range of products might seem random, they actually all converge in a common philosophy: not accumulating but rather selecting; not delighting in quantity but rather in quality; not to show but rather to share. Editing means unveiling a piece of work usually created by someone else; that is, that has a recognisable author. Editorial work is our raison d’être and the way we operate: we consider, select, take a risk and finally offer products and services initially conceived in partnership with a good designer, for our contemporaries. We believe that an editor’s greatness lies not in having a powerfully large company but in their catalogue. In the words of Pliny, Alienis pedibus ambulamus: we walk with the feet of others. For us this is quite literally the case, since our authors are our authorities. The hypothesis underpinning editing is that the design can be legally protected, with recognised and protected intellectual property, just like book publishers but for objects. We always protect the designer’s original value and the intellectual property of their work from third party infringement, all over the world. In any event, we are appalled rather than amused by all devalued fakes that attempt to replace an original. 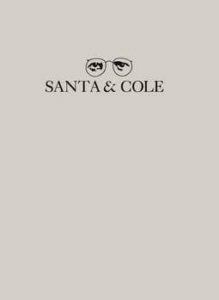 At Santa & Cole we endeavour to select only what is interesting, either because the product has a story to tell, for the history behind it, its elegance of form or its smart technical solution. It isn’t about appearances or trends: we edit only things that move us again and again. Our taste philosophy is more on the modern than the futuristic side. We are interested in reason, balance, and silence before stridency. We are particularly motivated to be the flag bearers of good Spanish design worldwide. As we came into existence in Barcelona, our authors are predominantly designers and architects from Barcelona and the rest of Spain who are now internationally acclaimed. We value their capacity, bringing new ideas and vision to our common lives; new perspectives about the world that we all contribute to creating. We are citizens of the Mediterranean. At Santa & Cole we seek to generate, employ, protect and disseminate knowledge, conveyed through physical products with a good design, as encapsulated in the declaration for GuteForm that the endearing Bauhaus made in its day: constructive solidity, aesthetic sobriety and functional quality. This trilogy has become a rule of thumb for us. 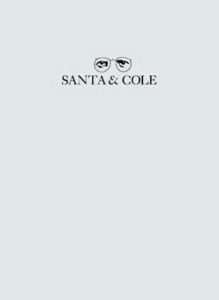 NEED MORE SANTA & COLE INFORMATION ?